Pengat Labu (Pumpkin in Coconut Cream) is a famous sweet dessert among the Nyonya/Peranakan. 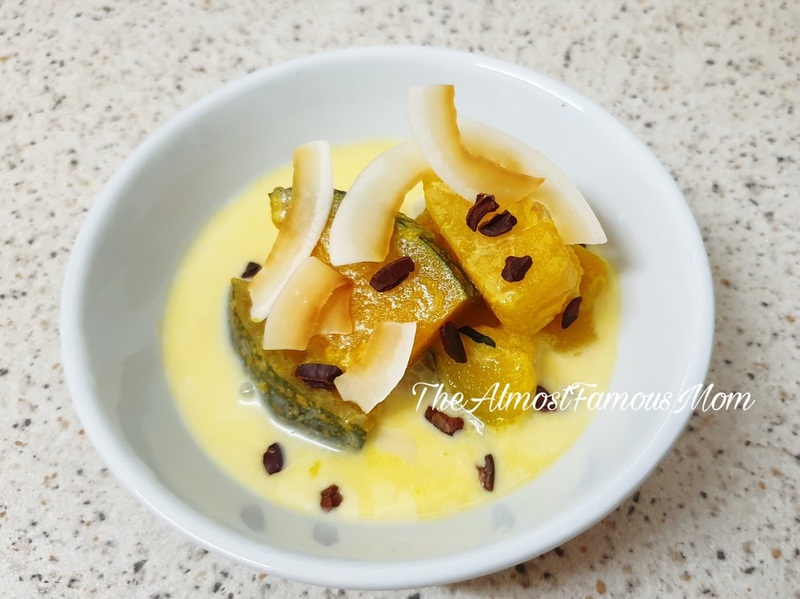 This coconut cream dessert which commonly contains pumpkin and tapioca pearls (sago) since today I'm cooking the low-carb version so I have omitted the tapioca pearls. 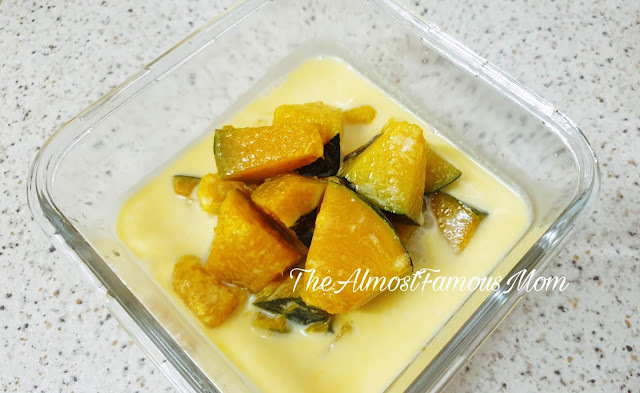 Who can resist a bowl of creamy pumpkin dessert, it is so versatile that you can have it warm on a rainy day or chill it in the refrigerator and serve it on hot afternoon. 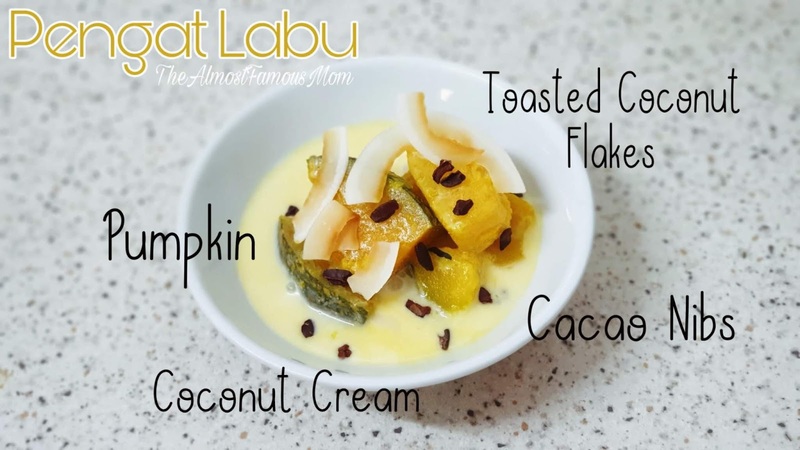 This is one of the always-go-to recipe because I love the creaminess that comes from the coconut cream and softened pumpkin - what a perfect match! 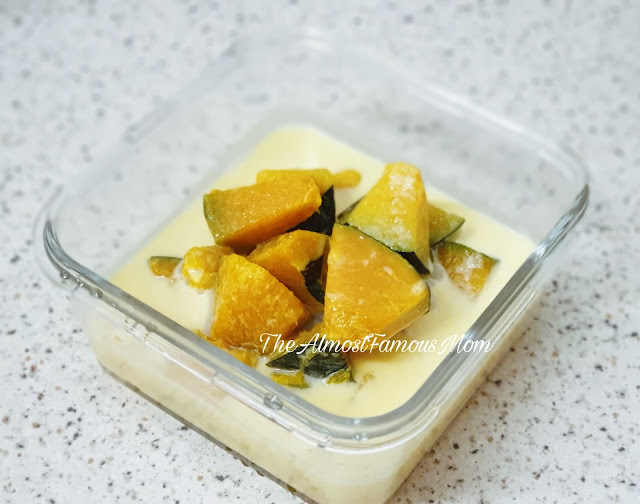 This dessert is really simple to cook, so let's get started! 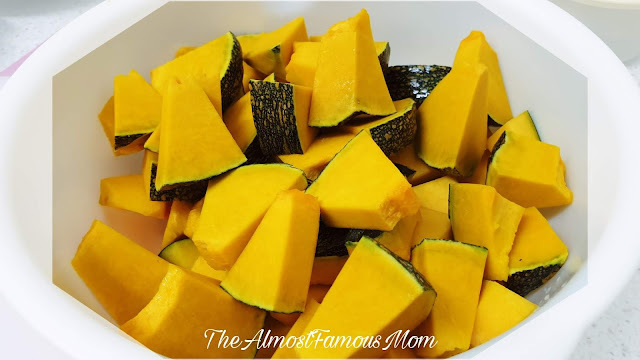 Cut pumpkin into cubes (with or without skin). 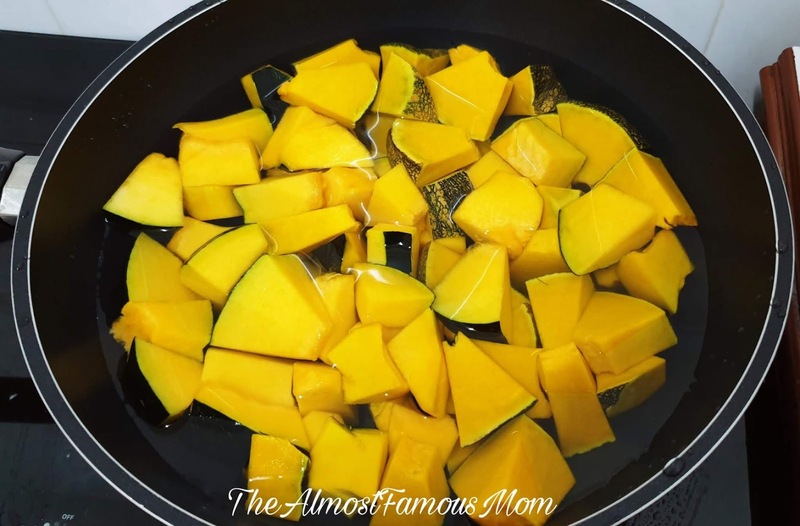 Place pumpkin cubes, salt and sweetener in a pot and cover with water. Cook in low-medium heat until the pumpkin cubes are tender but not too soft or mushy. 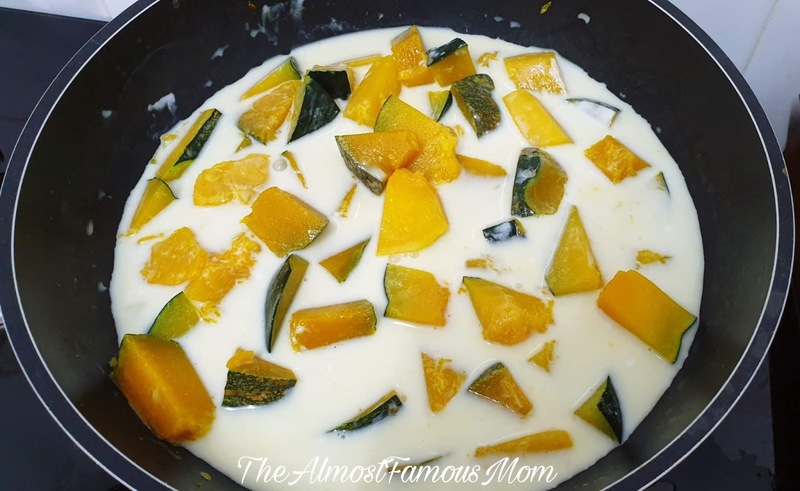 Optional step: Remove 1/3 of the water to create a thick and creamy coconut soup. 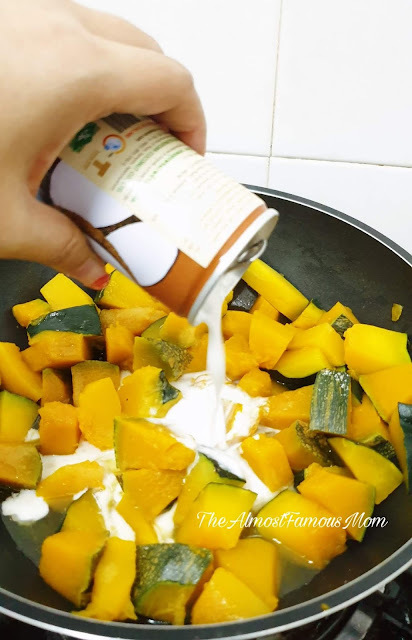 Gently stir in the coconut cream. Serve it warm or cold (chill in the refrigerator).